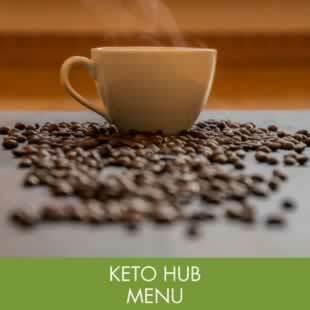 My Keto Hub is a unique boutique Coffee Hub serving Brisbane’s best coffee from our Local Friends at The Coffee Roaster in West End. Bart is our knowledgeable Barista and will create your coffee while engaging you in interesting conversation. You can choose from a variety of milks, including full cream, fat reduced, soy, coconut, almond and Zymil. For those who don’t drink coffee we have a selection of other beverages such as juices, teas, kombucha and hot chocolate. A select range of snacks are available too; protein snack bars, activated & roasted nut mixes, kale chips and bounce balls. What is this you ask? Have you heard of eating fat to get thin? Research has shown that fat doesn’t actually make you fat, as long as you are consuming the right types of fat. We have created our very own PowerHouse blend that contains quality ingredients of local grass fed butter, liquid coconut oil and amino acids. We then add this to locally roasted barista coffee (tea or chocolate also available) and blend into a delicious, rich and creamy drink. By drinking a Keto coffee, you will increase the healthy fats in your diet, so you can be a PowerHouse of energy! If you would like to know more about Keto Fuel beverages drop in and ask Bart at the My Keto Hub. Or swing by any morning between 7.30am – 9.30am for a FREE sample. Go one step further and try our 2 week My Keto Coffee Challenge to see the change it could make for you! Differences you may notice while on the challenge could include: better focus, elevated mood, reduced food cravings, increased energy levels and weight loss. 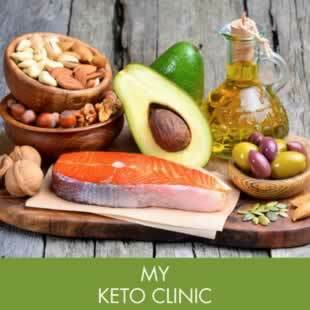 If you need further information on healthy fats, diet and lifestyle changes you may be interested in our My Keto Clinic PowerHouse Program where you are supported to achieve your health goals. We will focus on macro-nutrient modulating, that is, changing the way you look at food and the types of foods you are currently eating. We keep it simple; high healthy fats, moderate protein and lower carbohydrates. You will be fully supported and held accountable for the entire 8 weeks of the program. We have some exciting plans for our Nourish Hub over the next 6-12 months. To evolve our love of ‘Food as Medicine’ we will install a commercial kitchen and modify the existing pharmacy floor space. This will enable us to offer functional wholefoods that fuel our bodies and brains. This menu will meet our My Keto PowerHouse Program food choice protocol. This is the foundation of a healthy diet forming the premise of our therapeutic plans for each of our patients’ who visit the My Life My Health Medical | Compounding | My Keto Hub health destinations. Our produce will be fresh and sourced seasonally from local spray-free and organic farms then prepared into delicious meals that provide essential nutrients. This will assist in forming the building blocks for every function our body performs, including our metabolism, immune system, satiety centres and neurotransmitters or as we like to call it “Nutrients that Talk to our Genes”. Like us on Facebook to keep up to date with our progress.